I hate to advertise … but it doesn’t get better than this. It’s almost Christmas and we’re in London! 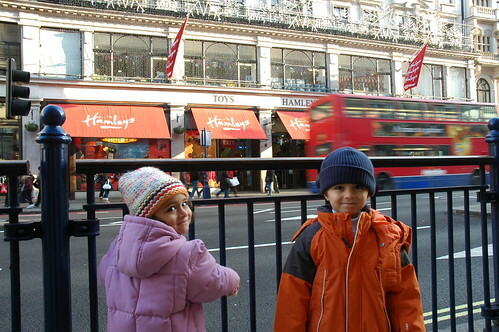 Where else but Hamleys? We crossed the road after taking this photo and spent three hours there! THREE HOURS!! I’m still trying to work out who had more fun…. me or the children? They behaved so well all the way there – and some of the way back.